« Are you really at risk of attack by someone with schizophrenia? Everyone’s a little sleepy after the course meal and chatting deep into the night over a glass of wine. Yesterday’s topics were heavy, the heaviest of the four days in fact. Today is all about the write up, putting all the pieces of the puzzle together to create a manageable picture for the public as well as clinicians (or whoever your consumers are); the pieces being everything from the previous three days – setting the topic, searching and statistics. Part of the ‘pulling together’ involves summaries, lots of summaries in table, text and stats form to make your discoveries legible for members of the public. This is one of the most important things to keep in mind. How else do we get the people we are aiming to raise the awareness and knowledge of to read our reviews? It has to be as layman friendly as possible, particularly in the Summary of Findings (SoF) table and the Plain Language Summary (PLS). 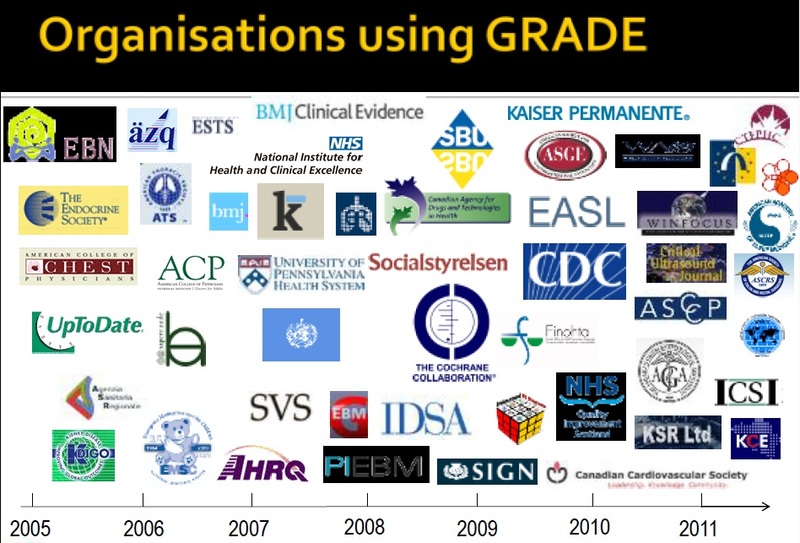 GradePro pulls together the data for the SoF tables, with your guidance, and we (the CSzG) get consumers to write our PLSs, people experiencing schizophrenia and therefore a lot to gain from the reviews…as long as the review team have indicated what the stats mean in practice. The purpose of reviews is to enable people to make informed decisions., not off the back of well promoted trials, which in some cases misrepresent the data, sometimes not intentionally they’re just misinterpreted by readers. Another reason to ensure summaries are concise and useful. 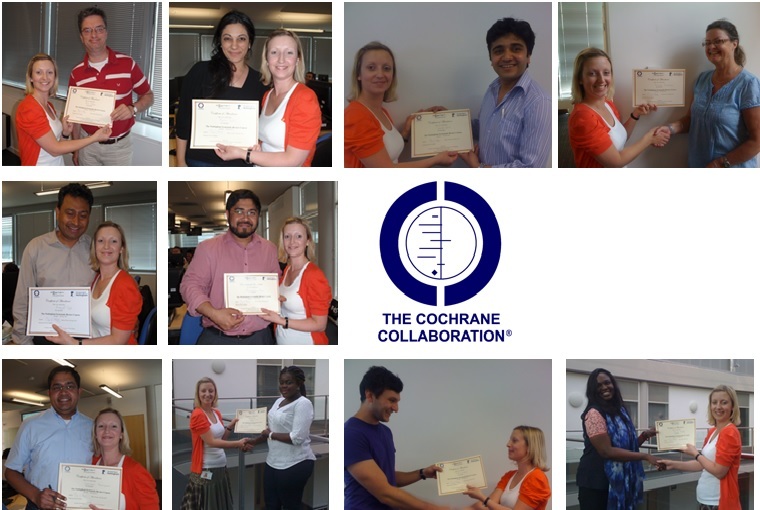 We now have about 40 people from various backgrounds, clinicians and research fellows from across the world, trained in Cochrane Certified Systematic Review writing. One delegate I was speaking with at lunch has been putting all the skills learnt on the course into practice straight away. Every evening she has been working towards the completion of her protocol with an idea to start the full review by the end of the year. There is so much information disseminated in four days (“enough to fill five weeks” as said by another delegate) that the best way to ensure you retain it all is to start putting it into practice asap. One delegate suggested taking an extra week off after the course to allow the information to properly seep in and then come magically through your fingertips into a review. The feedback from delegates has been very positive. Friendships and contacts have been established; new and existing skills developed; and more importantly, the Cochrane aim to produce quality reviews with meaning has been embedded in the systematic review writing process adopted by everyone that we have had the pleasure to work with over these four intensive days. It has been a pleasure to meet so many great people, I hope to see their Cochrane reviews coming out soon. If you’re interested in attending our next Cochrane Systematic Review Writing course in July 2014 have a read of the blog posts for Days 1,2 and 3 and then give us a call on 0115 823 1287 to find out more and get yourself on the waiting list.